At the Rio Paralympics in 2016, powerlifter Le Van Cong secured the first gold medal for Vietnam at the 49-kg category. Furthermore, the Vietnamese team won eight gold, eight silver and 24 bronze medals at the 2018 Asian Para Games in Indonesia, ranking 12th in the tally. 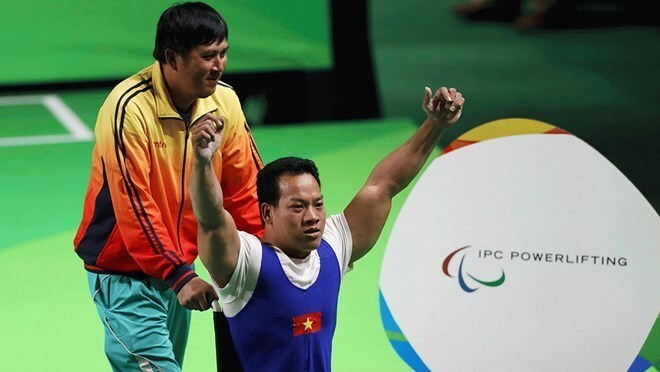 Lauding the achievements, General Secretary of the Vietnam Paralympic Association Vu The Phiet underlined that the Rio Paralympics marked Vietnam’s fifth appearance at the international event, where athletes overcame their challenges and proved an extraordinary fortitude of Vietnamese people. World champion Cong served as a brilliant example, as he earned remarkable achievements during 10 years, Phiet noted. He bagged a gold at the 48-kg category at the 2007 ASEAN Para Games and broke three records at the regional sport competition in 2014, and the Powerlifting Asian Championship in 2015. In 2017, he triumphed the World Para Powerlifting Championships in Mexico, following his first ever Paralympics gold medal. Meanwhile, swimmer Vo Thanh Tung is other prominent athlete of Vietnam. He brought home three gold medals and broke several records at the 2018 Asian Para Games. Vietnamese athletes have been busily preparing for the 10th ASEAN Para Games in the Philippines later this year, the 2020 Paralympics in Japan, and especially the 2021 ASEAN Para Games which Vietnam will be the host. Phiet said that the Vietnam Paralympic Association has worked to create chances for athletes to compete at international tournaments to sharpen their skills and mentalities, particularly in key sports including track and field, swimming, chess and powerlifting. In the coming time, the association will focus on developing sport clubs at the grass-root level and education establishments for people with disabilities, thereby scouting and training young talents.